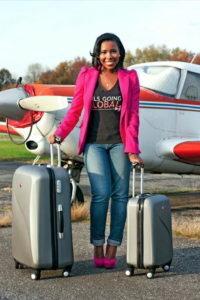 Girls Going Global (GGG) is a non profit organization seeking to address the disparity of girls of color in international education and today’s field of travel and international affairs. Girls Going Global provides global leadership programming to girls from underrepresented communities.Our mission is to empower girls of color through travel and cultural exchange to become creators and leaders of the world. Girls examine global issues and participate in service learning projects in our Passport To The World program, equipped with the most important tool to change the world through our Passport Scholarship program, and engage in intercultural exchange and service in our Summer Travel Camp. GGG currently serves girls in the Philadelphia and Atlanta areas. to expose girls to culture within their city. Launched first Summer Travel Camp and conquered Toronto, Canada. Established Atlanta chapter and conquered Costa Rica. Impacted over 100 girls through passport scholarships, global leadership workshops, and educational field trips to Spelman College, University of Pennsylvania, and Princeton University. We are always looking for people who are passionate and skilled to join our movement to increase access to international education to under represented girls! Girls Going Global is a nonprofit organization dedicated to empowering girls through travel and cultural exchange. Learn more about how you can help our girls see the world! Click the donate button below. Be the first to know about GGG happenings!